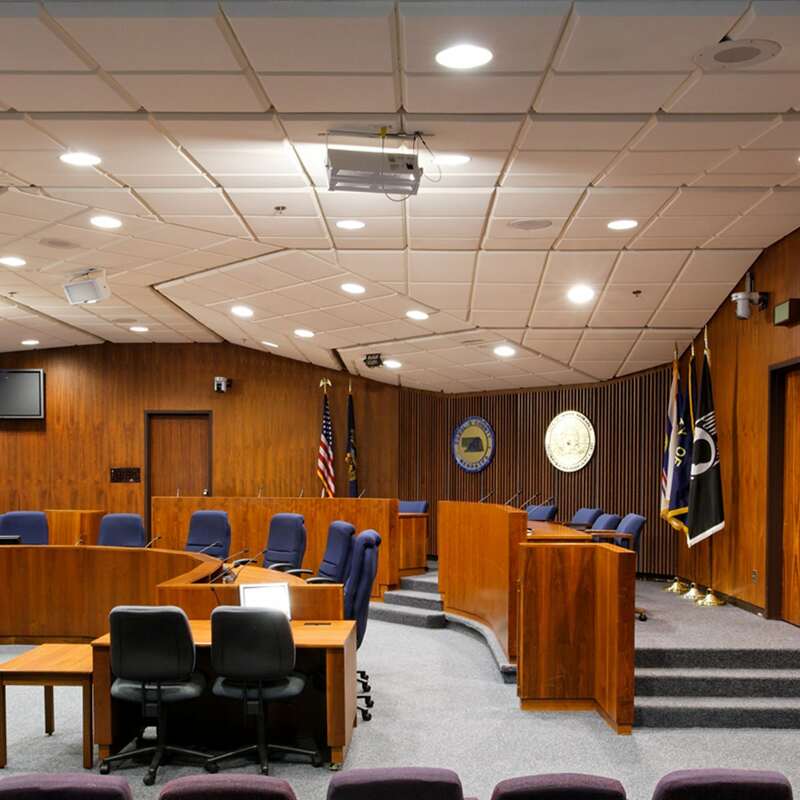 HPC is a high performance coating that is applied to acoustical melamine foam base. 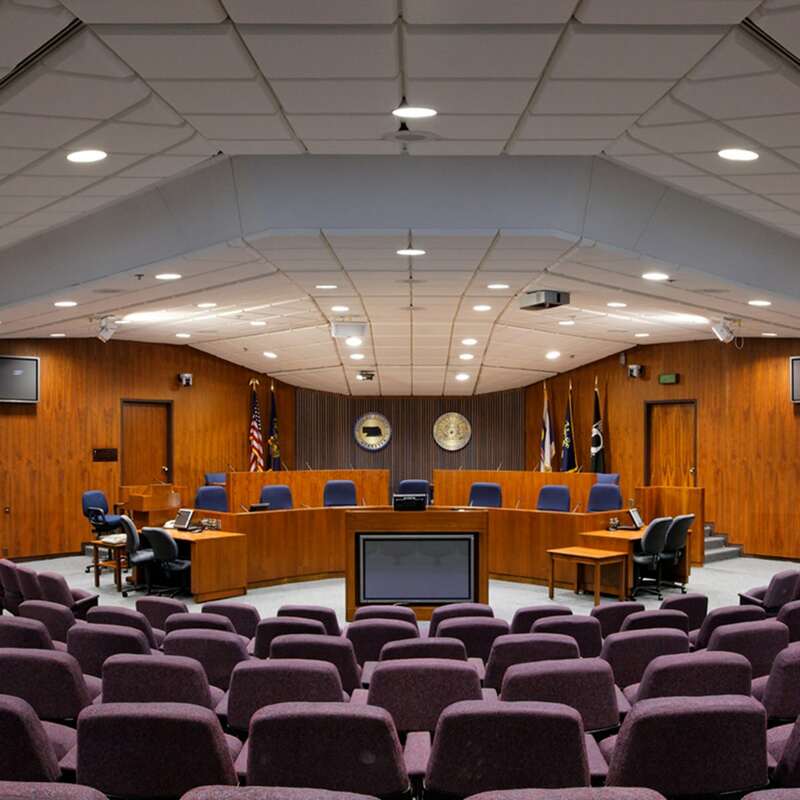 Our exclusive water based HPC formulation improves durability and protects the acoustical foam from dust and dirt, allowing the surface to be cleaned using a damp cloth. 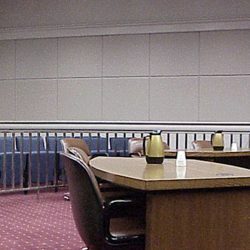 The HPC coating is especially appropriate for use high-traffic areas. 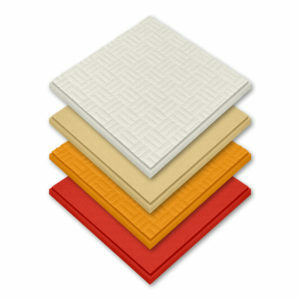 HPC Premium extends the HPC coating further by offering a line of brilliant colors from which to choose. 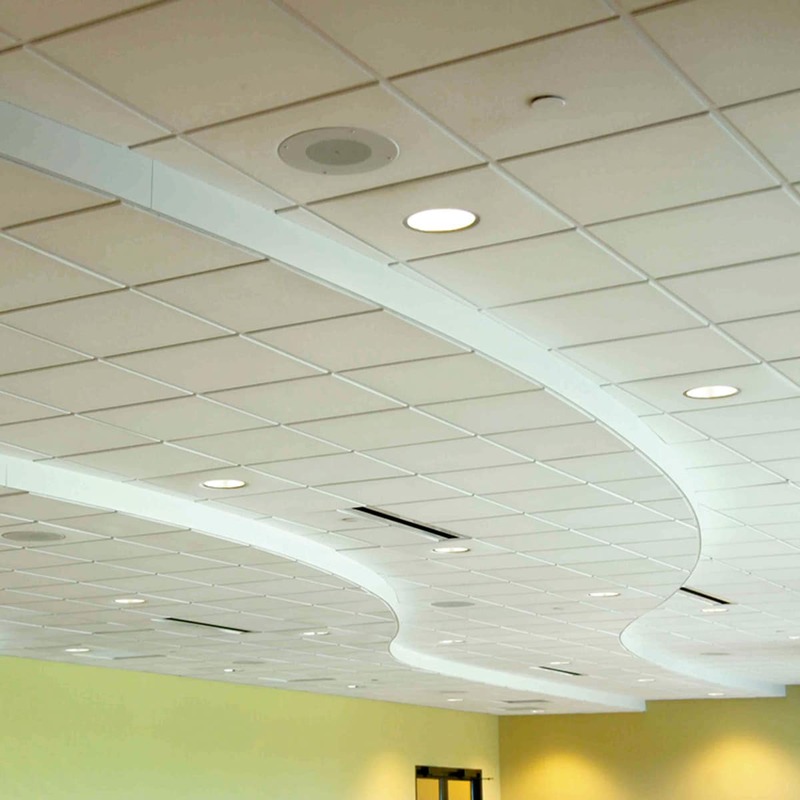 The Sonex® Contour Ceiling Tile combines sound absorption with an eye-pleasing design for applications with existing T-bar suspended grid systems. These ceiling tiles are available in two thicknesses to achieve the desired amount of absorption for your project. 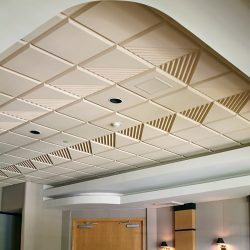 Constructed with Class 1 fire-rated acoustical foam and a sag-resistant backer board, the Sonex® Contour Ceiling Tile meets public building code requirements. 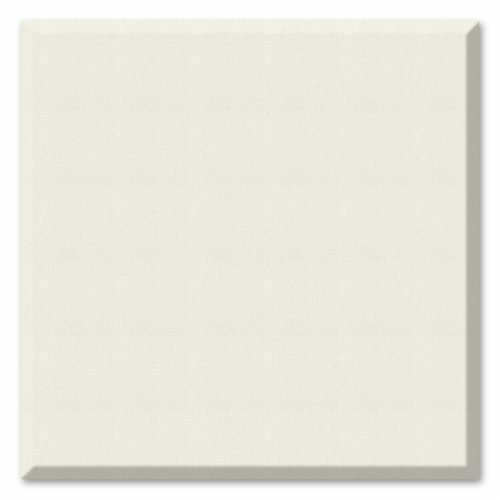 These ceiling tiles easily install into existing standard 2′ x 2′ suspended ceiling grid systems. Cross tees may be added when used in a 2′ x 4′ grid. 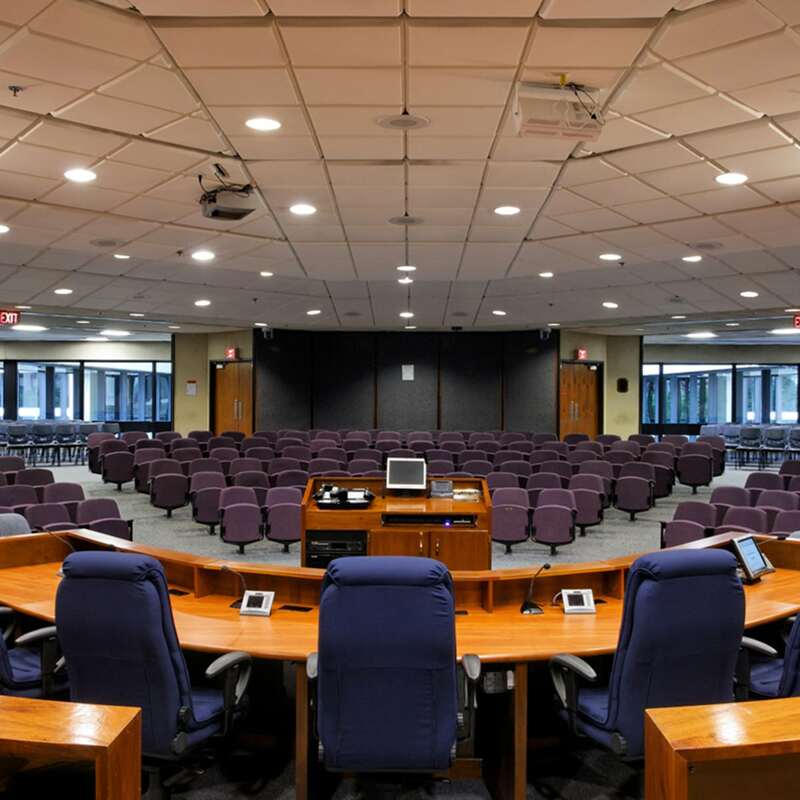 Sonex® Contour Ceiling Tiles add sound absorption to any grid system lowering reverberation and echo while improving speech intelligibility. 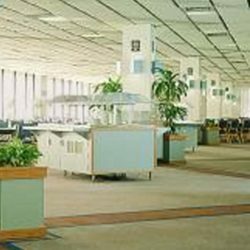 For use in offices, call centers, lobbies, entertainment facilities, conference and board rooms, retail stores, lodging and healthcare facilities, and other applications. 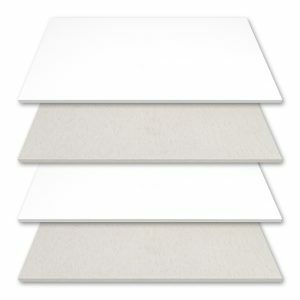 Material: Open-cell melamine-based foam backed with a sag-resistant 3/8″ backer board.